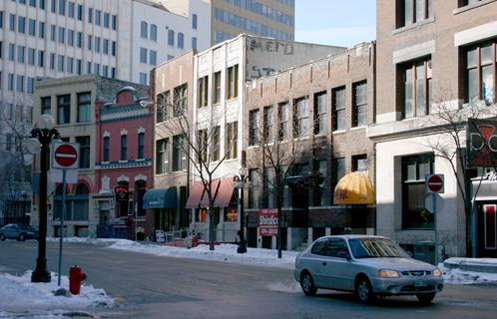 The Toronto Type Foundry Building, a narrow three-storey brick warehouse erected in 1881, is part of a significant turn-of-the-twentieth-century streetscape in Winnipeg's Exchange District, a national historic site of Canada. 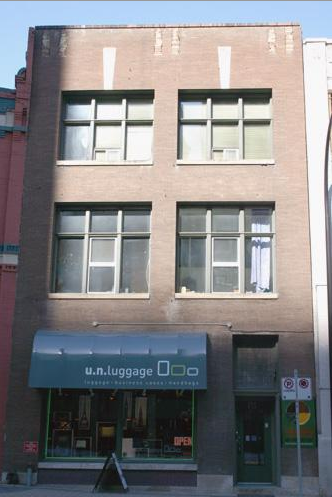 The City of Winnipeg designation applies to the building on its footprint. The Toronto Type Foundry Building, a modest structure of typical brick and heavy mill construction, occupies a key site within a rare, nearly intact row of smaller-scale historic warehouses in Winnipeg's Exchange District. The building, erected by monument-maker and architect David Ede as a speculative venture during the city's first major boom, is the oldest in the row of six McDermot Avenue structures that together convey a clear sense of time and place through their complementary designs and materials. Modified in the early 1900s from a more ornate three-bay design to a vernacular-style front and extended at the rear, the warehouse served for 70 years as the home of the Toronto Type Foundry. 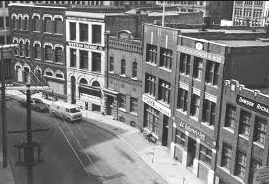 This firm employed state-of-the-art technologies for job printing and publishing small newspapers, and was one of several such companies clustered on McDermot, also known as Newspaper Row.